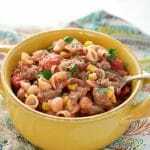 Comforting, easy and delicious Chuck Wagon Mac loaded with cheesy mac and cheese, ground beef and veggies. A childhood favorite is revamped for the stovetop — making it even faster, easier, and healthier than the original! 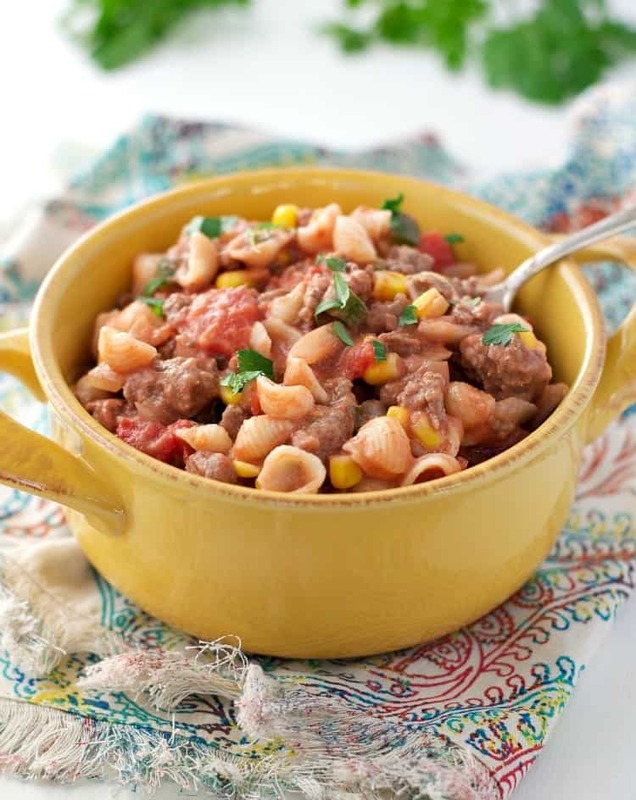 This Stovetop Chuckwagon Mac is loaded with cheesy pasta, ground beef, and plenty of veggies for a hearty, satisfying, and nutritious dinner that the entire family loves! Hi, friends! Let me introduce you to your family’s new favorite dinner! No, seriously. 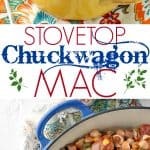 My mom’s “Chuckwagon Mac” was a staple in our home when I was growing up. Of course, she passed the recipe along to me when I had my first child, knowing that he would love it too. 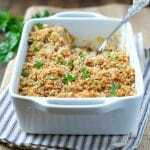 Mom’s version requires some stovetop preparation, but then it’s also baked in the oven for a casserole-like finish. It’s delicious, but it’s also more time consuming than I like! That’s why I decided to update the classic to make it weeknight-friendly, AND a bit healthier. We could all use a few more veggies in our diets, right?! 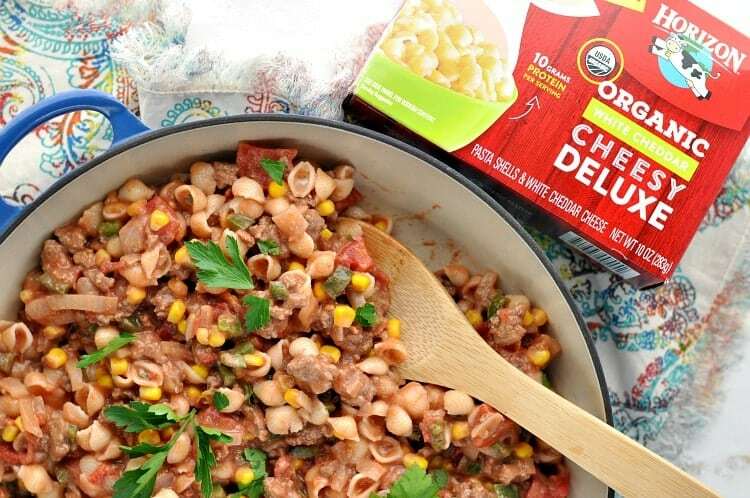 Horizon Organic Delux Mac & Cheese: easy to prepare and delicious! 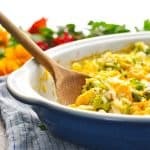 And when those nutritious ingredients are stirred together with a creamy, absolutely delicious Organic White Cheddar Cheesy Deluxe Mac and Cheese from Horizon, I promise you that EVERYONE at your table will devour it…just like my family does! 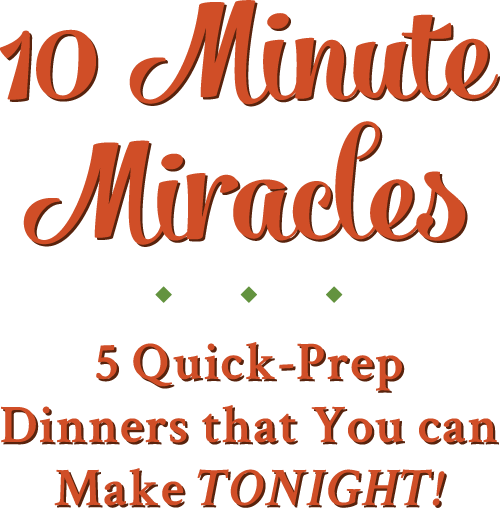 If you’re looking for quick and easy weeknight solutions, then this is the answer. 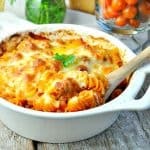 The cheesy pasta and ground beef are both full of protein, and the veggies bulk up the dish for even more satiety. This is a great way to nourish our bodies and fuel our active lifestyles with all of the good stuff! 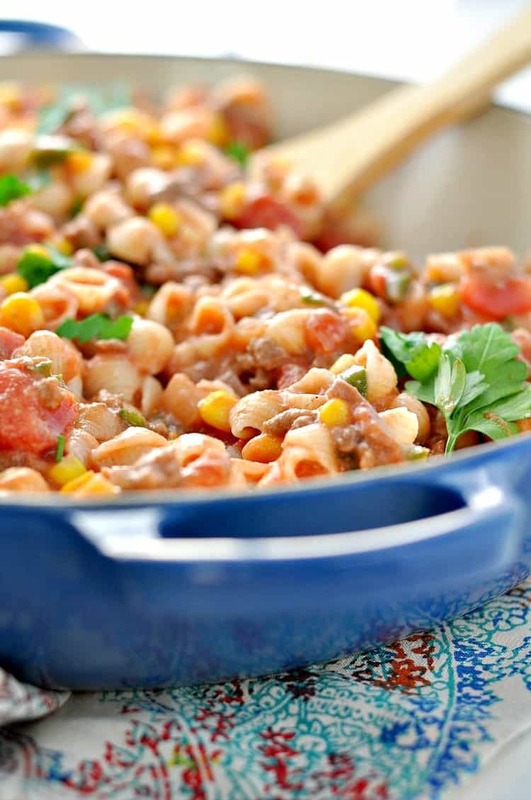 Serve this dinner with some corn muffins or a side salad and you will have some very full, very happy little tummies! It’s quick, easy comfort food that everyone adores — can’t beat that! In a large skillet or Dutch oven, cook ground beef, onion, bell pepper, and garlic over medium-high heat until no longer pink. Drain and return to skillet. Stir in tomato sauce, corn, and diced tomatoes. While the beef is cooking in the skillet, prepare macaroni and cheese according to package instructions. Add cooked macaroni and cheese to beef mixture and stir to combine. Serve immediately. This looks like the perfect way to jazz up regular mac ‘n cheese! I love the hearty ingredients in here! Definitely the perfect comfort food for the winter. I can see why you and your family love it so much! okay, i want to be part of your family. because i totally think this would be my new fav! Oh my goodness. Must try for my family! I’m sure they’ll love it too. 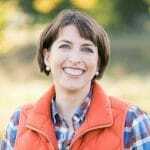 Thanks, Melanie! Yep, this is a perfect family-friendly meal. Everyone seems to love it! What an awesome dish! I love comfort foods like this! Thanks, Annie! 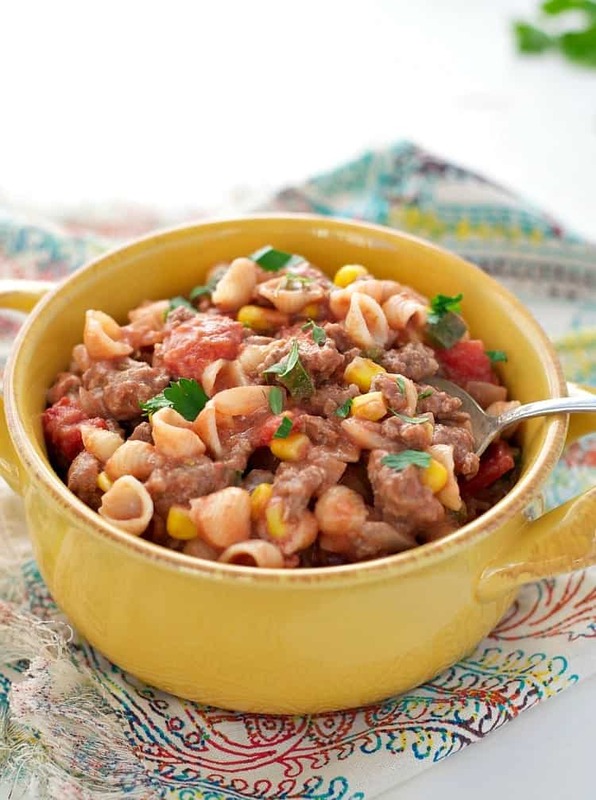 At this time of year, especially — cold weather makes me crave warm, hearty dishes like this one! 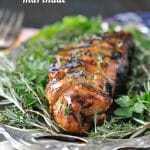 I just wanted to say “Thank You” for this fantastic recipe! I made this tonight for dinner, and it was sooo good! I couldn’t find the White Cheddar Cheesy Deluxe, so I used the Organic White Cheddar. I am going to give some to my son for work. He’s been looking for a recipe that his father made, and this is definitely it(minus the hot sauce) I always look forward to your recipe of the day, and since I join, I have not been disappointed. Hello I was wondering if you are using the Mac and Cheese with the powder mix or the box kind that comes with creamy cheese I have seen similar recipes that use the powder mix so I was just wondering what you use? P.S. Will rate once I make it. Hi! I always use the mac and cheese with the creamy cheese packet (not the powdered version). Enjoy!